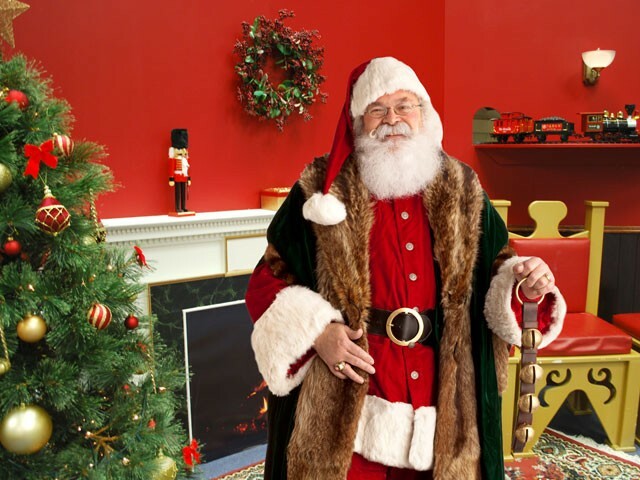 Ho ho hold on to your stockings as we welcome Santa back to the Otago Museum this Christmas! Make your list and check it twice before sharing it with Santa in our Victorian-themed Animal Attic grotto, daily from Thursday 20 December until Christmas Eve. Hear Santa tell a special seasonal story and compose your own Christmas classic. Fashion fancy reindeer antlers at Santa’s Christmas Workshop and wear your Christmas cheer for all to see with our festive face painting. Become a red-nosed Rudolph, brave icy eyebrows or decorate your face with a pretty pōhutukawa. Capture all these unforgettable Christmas memories with a photo of your own or ask our elves to take one and email it to you for free. Stir up something special and make tasty hot chocolate stirrers that turn hot milk into a fabulous festive treat! Share them as a gift or treat yourself. Add a personal touch to your Christmas tree this year as you design and decorate your very own baubles. Make your own jingle bells! Jingle all the way home this Christmas with your very own jangly jingle bells. Fashion some fancy reindeer antlers! Whether it's a red nose like Rudolph, icy eyebrows like Frosty the Snowman or a pretty pōhutukawa – wear your Christmas cheer for all to see. Share your wish list with Santa! Personally deliver your Christmas wish list and capture this classic Christmas memory with Santa. Join Santa and his elves for a special storytelling time. Hear traditional and modern Christmas stories – plus help us create an Animal Attic Christmas tale.